The incessant turbine generated low-frequency noise and infrasound from AGL’s Macarthur wind farm in western Victoria has been driving neighbours nuts or out of their homes since December 2012. Having been lied to and bullied for just as long, one of AGL’s victims (and an STT Champion) Annie Gardner let rip with this stinging rebuke, published in their local rag. What does AGL have to hide regarding the Macarthur Wind Project? For over two years now I have been requesting AGL engage Steven Cooper of The Acoustic Group in Sydney (who carried out the Cape Bridgewater wind farm study) to undertake full spectrum noise testing at our property and others around the Macarthur Wind Farm, along with concurrent personal health monitoring, to determine once and for all what is causing so many people ongoing pain and suffering as a result of proximity to AGL’s wind turbines. However AGL continues to refuse this request. It is not a question of cost, but more likely AGL is not sure the answer will be in their interests. Surprising, but it is hardly a demonstration of a duty of care to their neighbours. Since October 2012, many families have had their health severely impacted by the acoustic emissions from turbines at AGL’s Macarthur wind farm, whether it be low frequency noise, infrasound, vibration or amplitude modulation. The most serious health symptom experienced by many residents around wind projects is severe sleep deprivation and sleep disturbance, causing inability to function and concentrate, clearly making it difficult to carry out normal household and farming tasks, and dangerous whilst driving and operating farm machinery. The World Health Organisation recognizes ongoing sleep deprivation can lead to many serious illnesses. For over four years now, some residents have been forced to regularly leave their properties, at great expense, for respite from the constant hammering to their health from turbines, and merely to get a decent night’s sleep, which is our Common Law Right. AGL continue to claim the Macarthur Wind Farm remains compliant with their permit, and their infrasound monitoring claims there has been no change in infrasound levels from before turbines commenced operation, to current operations today. Residents have comprehensive evidence AGL’s Macarthur Wind Farm is NOT compliant, in addition to the fact that AGL’s infrasound monitoring was only carried out at homes belonging to families who do not appear to be impacted. However, wind turbines produce an amplitude modulation across ALL the sound frequencies, hence the need for full spectrum noise testing, which AGL will not agree to carry out, despite numerous requests. During the past four years, due principally to ongoing sleep disturbance, one neighbouring family has left their home and job due to children not sleeping at night, one severely sleep deprived neighbor was killed whilst driving their car, another sleep deprived neighbor fell asleep at the wheel nearly causing a fatal accident on a busy highway, one neighbor has been forced to leave their property permanently, and another family has been forced to buy another house in a nearby town in order to get some sleep at night. Several other families have been told by independent advisors including doctors, they should not be living in their homes, as their health has been so severely affected in homes which are toxic with debilitating infrasound, low frequency noise and vibration emitted by the turbines 24/7 . Each of these families has complained to AGL and the Moyne Shire Council continually about their sleep disturbance problems along with other serious health issues due to the acoustic emissions from the turbines during the day and night, and nothing has been done by either AGL or Moyne Shire to acknowledge, nor even attempt to rectify this serious situation. Please provide the studies upon which the wind turbine/farm criteria for Macarthur wind farm have been developed. Please identify the noise source(s) that have been used in the studies related to question 1. Please provide the dose-response data related to wind turbines/farms upon which the acoustic criteria are based and the corresponding level that represents 10% of the population that is highly affected. The most common complaint from residents relates to sleep disturbance. Please provide the studies of wind farm noise that identify the noise level (in any relevant acoustic index) that gives rise to sleep disturbance. Please provide the studies of wind farm noise that identify the noise level (in any relevant acoustic index) that will not give rise to sleep disturbance. Please provide the studies of wind farm noise that identify the noise level that will protect the acoustic amenity of residents in proximity to wind farms. In light of the above please identify who would be liable for the consequences of adverse impacts arising from the operation of wind turbines/farms in any Class action for the Macarthur wind farm even though the wind farm allegedly satisfies the permit conditions. I separately, but now publicly, ask the Moyne Shire to investigate and repeat the work which supposedly proved the Macarthur wind project Compliant. Our goal is to reach 200 signatures and we need more support. Advise all residents of Moyne Shire Council to NOT pay their rates this year until noise issues are attended to. When we lay our heads on our pillows desperate for eight hours normal sleep and experience the impacts of industrial LFN, AM and vibrations, we cannot rest, sleep or recouperate and mental and physical health and quality of life declines. With no means to stop the viciously endless noise and acoustic nightmare we are driven nuts. No amount of deep breathing, mental positivity or distraction stops or lessens these horrible intrusions which ruin our lives and unnaturally disturb sleep rythyms for years on end. Wind and other industrial operators and owners willingly, wilfully and callously hide behind harming and useless, inapplicable noise limits on dBA which do nothing to protect neighbours from toxic sound emissions which hurt us, both inside and outside our homes. Without recognition and resolution, or punishment of wind farm, traffic, or industrial fans nuisances, our lives are hell. Seriously… would you choose to live near constant excruciating noise and vibration? Would you choose to be sleep disturbed? Would you choose to live with noise torture in toxic ‘noise’ inundated homes, to be unable to even sit restfully in a chair anywhere in your house? In fairness and justice, like Annie, we all want answers. We want the toxicity and pain to stop. We want these industries to stop being unreasonable, put peoples health and well-being before profit and add value to our properties as opposed to devaluing and destroying them. We want resolution of the problems, with the community united and in the good health we expect living close to nature in rural environments. We want a normal quiet, undisturbed life in our chosen and loved homes. We want to be able to work, study and play in a safe environment in a safe home. 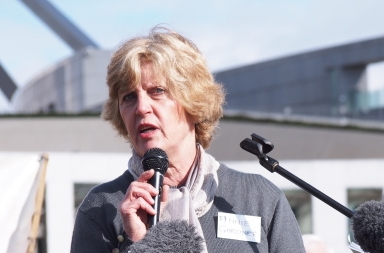 Enough is understood about these environmental acoustic pollutions and issues and how to protect the public; and moral operators and authorities, with an Australian sense of fairness would act cohesively to address Annie’s questions. With any sense of common decency and morality every wind and industrial operator must correct their operations to compassionately ensure our rightful and basic life needs, which every Australian is entitled to are restored. Annie’s plight is one which is going to reverberate around Victoria if all the projects proposed, planned and approved go ahead. Lives will be turned upside down, lives will be lost if people cannot live in their homes without being ‘attacked’ by these ‘terrorists’ who are determined to torture communities into submission or obliteration. It’s time our Governments started to work for the people and not the lobbyists who pound their doors whinging that they have not received enough of OUR money, that lie about the worth of this torture regime they are intent on spreading across this beautiful land, they lie about it being able to ‘save the world’ when all it does is destroy the very environments that provide food for not only humans but all flora and fauna. They lie by saying these things are providing clean renewable energy, when everything that is used in their manufacture and operation is from things they condemn as causing damage to the earth – mined ore, chemicals and oils. With all these turbines and their machinery having to be transported using machines built with the same things and operated with diesel and other such ‘mined’ energy sources. To do what they are doing in an environmentally way they would need to use stone axes to chop down trees and wooden pegs to put it all together and use bullocks to transport everything, to wooden ships, barges etc to transport by sea and canal using sails made from things sourced as they did 100’s of years ago. Where would they source the wood they need – from forests that will need to be re-established, and to ensure there is enough to go around for all purposed. Is it feasible to return to this form of industry in a world vastly more populated now than at times they wish to return to? Until our Governments accept they have made a mistake and start to think and operate as intelligent human beings and work out a way to undo the damage to our energy supplies and work sensibly towards a cleaner environment then we will all be suffering as a result of the careless, thoughtless, stupidity of our ‘leaders’, who moved forward without considering the consequences. What is happening is an example of allowing a single ideology to take command of everyone’s future. It is no better than an ideology of a few that causes nations to go to war by taking over the authorities who are there to protect the people and in doing so ensuring their own desires are the only ones that rule. Keep up the fight Annie. Keep pressuring for AGL to come clean, cleaner than their dirty turbines. Come on Victorians and everyone else pressure Moyne Shire and the Government to force AGL to conduct independent testing by Steven Cooper without any restrictions as we know he is someone with exemplary credentials and professional integrity and for the results to be made public. The complicity of Moyne Shire Council in the perpetual torture inflicted on residents by AGL wind turbines is sickening. Moyne Shire represents corporate power instead of defending its own ratepayers. Since 2008 I have begged for help in Aberglasslyn. It is not turbines. It’s either Industry or the Coal Mine at South Maitland. This is a living HELL. We need a ‘Donald’ in Australia to drain our swamp as well! Shame on you AGL – subsidy sucking corporatist vampires. Your product “wind power” does not even work. 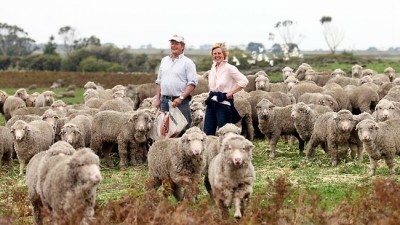 And you have destroyed a great family product – Annie Gardner’s world prized Merino wool that did WORK! Until your wind monstrosities ruined their existence and the Gardners’. Shame on you and your filthy industrial feel-good un-green windmill boondoggles. You are not alone Annie Gardner. Fight on.